European equity markets are set to open marginally higher. We are currently calling the FTSE 100 to gain 10 points to 6254, the DAX 30 to add 5 points to 7479 and the CAC 40 to rise by 11 points to 3610. Markets spent most of yesterday's session in the black as traders saw some value on offer following this week's declines. However, CFD traders gave their purchases a second thought when the US markets quickly sold off from the open after some weak economic data. That negativity in the US hasn't followed through into Asia though, where markets such as the Nikkei 225 are managing to post modest gains. Having said that, the global macro picture remains uncertain and any gains seen here or in Asia are far from a major turn around in sentiment. Today is a fairly light day in terms of economic data and with the G20, IMF and World Bank meetings keeping money on the sidelines, traders will be hoping for a quiet end to a tumultuous week. The US corporate earnings season continued to disappoint investors yesterday with the Dow Jones falling 110 points to 14,496 as a result. The pessimism was also supported by weaker than anticipated economic data with the Philadelphia Manufacturing index expanding less than forecast. The results showed a mixed picture, possibly even more so than in recent quarters, which seems to have given the sellers a slight advantage. European equities are set to open with a small bounce higher following another day of large scale declines. A bit of short covering and bargain hunting is set to bring the buyers tentatively into the open. However, as yesterday's sudden sell off showed, it doesn't take much to bring out the bears in this current environment. Today's source of bearish news is expected to kick off with a slump in UK Retail Sales. Despite the 16% increase in online sales reported this week, expectations are that the cold weather kept people from the high street and caused a mismatch between store inventory and consumer demand. Also keeping traders on edge will be the G20 meeting, where the subject of currency wars and competitive devaluations is set to heat up. Whilst developed economies keep the printing presses rolling, emerging nations on the other side of such actions are set to voice their concern over the loose monetary policies. A day of worse than expected US corporate results reversed course for equities, sending the Dow Jones 135 points down to 14,608. The Fed's Beige Book also weakened investor enthusiasm for shares by simply indicating that economic growth remains 'moderate', with expansion for housing and autos offset by declines in other industries. This morning, we are calling the CAC to open 19 points higher at 3618, the FTSE to gain 8 points to 6252 and the DAX to rise 11 points to 7524. European equity markets are set to open flat to marginally higher as traders regain some composure after the recent falls. We saw another day of losses in Europe yesterday as the negative overhang from the Chinese GDP data continued to weigh. Europe even managed to add to its own misery with worrying declines in economic sentiment. However, US markets closed higher overnight, recouping a substantial portion of their recent declines on up beat earnings and housing data. Housing starts came in better-than-expected, managing to restore some optimism in the sector, whilst industrial production figures also surprised to the upside. In addition, earnings from brands like Coca-Cola and Johnson & Johnson boosted investor sentiment by topping estimates. This stream of positive news allowed the Dow Jones to recover 182 points to 14,750 after suffering the worst slump of the year. The positive lead from the US has carried over into Asia where indices are showing a venerable attempt at recouping their own losses. However, European markets seem loathed to join in with the bounce in equities, highlighting the IMFs point yesterday of a three speed recovery, and are only able to manage a flat start. This morning, we are expecting the DAX to open 7 points higher at 7690, the CAC to rise 6 points to 3692 and the FTSE to add 7 points to 6312. European stocks are set to decline on the open as the rout continues. Equities have shown remarkable resilience of late following a string of weak economic data from the US and China. However, yesterday's Chinese GDP data, which showed just 7.7% growth, disappointed those investors who were expecting an 8% rise. This seems to have been the tipping point for sentiment, causing a steep tumble in the global markets and severely denting enthusiasm for the recovery. European indices fared slightly better than their global counterparts, with declines of only 0.40%-0.60% compared with around 2% in the US and 1%-2% in Asia. The contagion saw the Dow Jones fall by 279 points to 14,572.5 and further overnight declines in commodities are set to drag miners and energy firms lower again this morning. If that wasn't enough, Germany, the Eurozone's supporting pillar, is expected to see a significant decline in the ZEW Economic Sentiment Survey today. As a result, we are currently calling the FTSE to open 27 points lower at 6317, the DAX to slide 39 points to 7675 and the CAC to fall 33 points to 3677. Despite the negative trading seen in Asia, European shares are set to open flat this morning. Overnight, China's GDP came in at just 7.7%, against an expectation of 8.0%, and so markets in Asia are correspondingly weaker. In addition, Industrial Output and Fixed Asset Investment data showed weaker growth which is fuelling concerns that last week's surprise slump in exports and trade deficit may not have been an outlier. In the US last week, the Department of Commerce showed an unexpected 0.4% decline in retail sales despite estimates for an unchanged figure. The University of Michigan also saw consumer sentiment drop to 72.3 from 78.6 in March adding to the overall pessimism which engulfed the spread trading markets. As a result, the Dow Jones headed south and, whilst it did see a late rally, the index finished 11.5 points in the red at 14,850. Nevertheless, the late rebound is going some way to taking the edge off the Asian weakness this morning, at least on the open anyway. At the moment, we are calling the FTSE 100 to open just 4 points lower at 6380, the DAX 30 to fall 3 points to 7742 and the CAC 40 to gain 3 points to 3732. European indices are set to edge lower this morning on profit taking. A solid week of gains has satisfied the bulls and so some traders are deciding to book those profits, leading to modest declines on the open. We are currently calling the FTSE to open 32 points lower at 6384, the DAX to fall 42 points to 7830 and the CAC to slip 14 points to 3762. Despite gains in Europe and another set of highs for the Dow Jones and S&P 500 yesterday, a little caution has crept in overnight as a few possible negative cues circle the markets. One reason for the bulls taking a little money off the table is the start of the 2 day Ecofin meeting where an extension to Portugal's bailout repayment terms are set to be discussed. Despite Euro Group Chairman Jeroen Dijsselbloem sounding optimistic about the extension being granted, traders can't help but feel that someone at the meeting is bound to object. In particular, Portugal's constitutional court has recently ruled against cuts to the public sector and welfare payments, both of which were conditions of the bailout. If that wasn't enough, the ballooning Cypriot bailout and the issue of Slovenia are sure to raise uncertainty. Later in the afternoon, we will also get Retail Sales and PPI data out from the US. The previous readings for these figures were all surprisingly well above expectation and pundits were saying that this was evidence that the US consumer had shrugged of the tax increases and spending cuts. However, this month the data is set to turn negative and, given that it follows the weak payroll figure, some may conclude that the effects were merely delayed rather than overcome. Also adding some tension to those holding bullish positions is the escalating situation in North Korea. The North's sabre-rattling seems to have been largely brushed aside by the international community. However, it was actually the Pentagon's own 'moderate confidence' that North Korea could strap a nuclear device to a ballistic missile that has made those with long positions slightly more cautious going into this weekend. The Dow Jones reached a new all-time high for the third session in a row as the US economic data continues to surprise to the upside. Yesterday, retail sales numbers and a larger-than-expected drop for the jobless claims figures saw the Dow close 55 points higher at 14,865 after reaching a record of 14,888. Confidence seems to be quite strong with investors at the moment and a test of 15,000 cannot be ruled out. European equities are set to open flat as they wait for fresh cues. The main event of the week, last night's FOMC minutes, were inadvertently released early during the European session so their effect has already been fully priced in. The minutes showed a wide range of conflicting views, with some members wanting a swift end to bond purchases whilst others wanted to see an increase. Nevertheless, traders felt that the steady flow of weak economic data since the meeting will pressure the committee to maintain its dovish stance and this gave the markets a jolt higher. Today sees a fairly light economic calendar, with the ECB Monthly Bulletin hopefully shedding some light on Mario Draghi's decision to signal a possible rate cut this year. In the afternoon, US Unemployment Claims should help to give some clarity as to what is happening with the US labour market. Going into the latest earnings season, US investors seem to be optimistic that, bar a few disappointments, the results will generally beat expectations. At the same time, Japanese Prime Minister Shinzo Abe is looking to do whatever it takes to reverse a decade of deflation by putting pressure on the Bank of Japan to meet a 2% inflation target. As a result, the Dow Jones reached a new record high at 14,828 before closing up 137 points. This morning, we are calling the FTSE to open 4 points higher at 6383, the DAX to fall 6 points to 7817 and the CAC to lose 5 points to 3739. European equities are set to open flat to marginally higher ahead of today's key central bank data. US markets continued to march higher overnight and Asian markets seemed to take the surprising Chinese trade deficit figures as a positive due to the surge in imports. However, there's not a lot of economic data due today meaning that, once European traders take into account the overnight action, markets may drift until the FOMC minutes are released after the US close. The FOMC minutes are likely to give an inkling into how the Fed will interpret Friday's shockingly weak Non-Farm Payrolls figure. Stock market indices have been particularly resilient considering the size of the miss and this is partly due to the implied back stop that the Fed has been providing. Although the actual meeting was three weeks ago, traders will be on the look out for any language changes that suggest the weak jobs figure could encourage more dovish policy. European equity markets are set to open higher this morning, tracking overnight gains in the US and Asia. Global equities had a rather resilient day yesterday, starting the week on positive footing despite the weak overhang from last week's Non-Farms figure. Debate about whether last week's declines were the start of the long awaited correction or just a minor blip in the current rally seems to have concluded that it's nothing to get too bearish about. With equities down at levels not seen since February, expectations now seem to be that bargain hunters will buy the dip. As US companies started reporting their first quarter earnings, investors rushed back into shares on speculation that good results will drive the market higher and that the next few weeks will be more volatile. 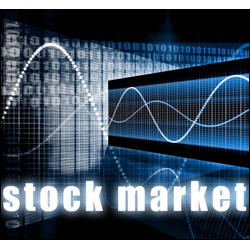 This renewed demand for stocks pushed the Dow Jones up by 100 points to 14,643. Despite the optimism, bellwether stock Alcoa disappointed with weak results after the US market close, although this doesn't seem to be hampering European stocks too much this morning. We are currently calling the FTSE to open 37 points higher at 6314, the DAX to add 41 points to 7704, and the CAC to climb 23 points to 3690. European equities are set to open higher as they shrug off Friday's weak jobs figure. The Non-Farm Payrolls came as quite a shock to the markets on Friday, even after being primed for a disaster earlier in the week by the poor ADP figure. The reading disappointed by rising just 88,000 last month, less than half the forecast, although the unemployment rate did drop to 7.6% from 7.7%. Initially, reactions were to sell off sharply and European indices ended with losses of 1.5% or more for the day. However, whilst US markets had the same initial rush for the exit, they then spent the rest of the session clawing back those losses to end only moderately lower. The possible turn around in sentiment could be put down to the once regular 'bad news is good news if it leads to more Fed money printing' philosophy amongst traders. Such an apparent slow down in the US economy is only likely to affirm the Fed's current commitment to quantitative easing and will push back the time line for rolling back such accommodative policy. After plunging to an intraday low of 14,432, the Dow Jones rebounded to close just 43 points in the red at 14,556.